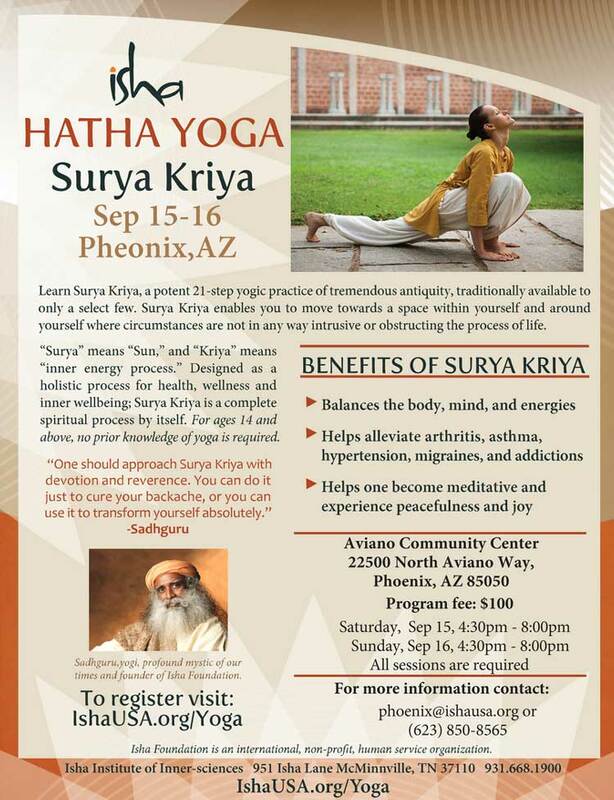 What is Surya Kriya ? Surya Kriya is a potent yogic practice of tremendous antiquity, designed as a holistic process for health, wellness, and complete inner wellbeing. “Surya” means “sun,” and “kriya” means “inner energy process.” Surya Kriya activates the solar plexus to raise the samat prana, or solar heat, in the system. It also balances a person’s left and right energy channels, leading to stability of the body and stillness of the mind. This strong foundation becomes the basis to explore higher dimensions of life.